This mercury glass table lamp comes with three LED bulbs that make this design both stylish and energy-efficient. Add a touch of elegance to your decor with this double gourd mercury glass table lamp from Possini Euro Design®. 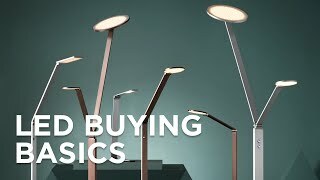 With three LED light bulbs, this lamp will bring brightness to your space, and save you energy at the same time. The empire style taupe lamp shade balances the standout design of the glass base. 28 3/4" high overall. Base is 7" wide. Shade is 13" across the top x 16" across the bottom x 11" high. Weighs 6.8 lbs. Includes three 4-watt Edison filament LED bulbs that are comparable to a 75 watt incandescent bulb. 900 lumens total. 2700K. Built-in dimmer by the socket. LED bulbs are dimmable. 8-foot long brown cord. 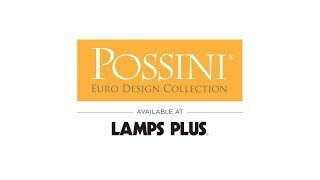 Modern glass table lamp from Possini Euro Design®. Mercury glass construction. Sheer taupe lamp shade.